So, lately, as in for the past couple of years, I've been mostly shooting everything with a Leica M9 and their followup, the stupidly named "M" (How this fits in the 50 year long naming convention scheme M3, M4, M5, M6, M7, M8, M9..." is a mystery). In the last couple of years the M has only failed me once -- when I was shooting a big poster for Amanda Palmer and the New York Public Library -- I set up the lights, set up the backdrop, hours worth of makeup happened, Amanda Posed, I pressed the button and the back of the camera froze up in purple, green, and pink stripes. I had a Nikon D800 with me and took the photo with that and the Leica never did that again. I got the "M" (I taped a "10" to the front of it) a few months back and it's seemed reliable, so on smaller shoots I've been taking it and a lens or two alone. 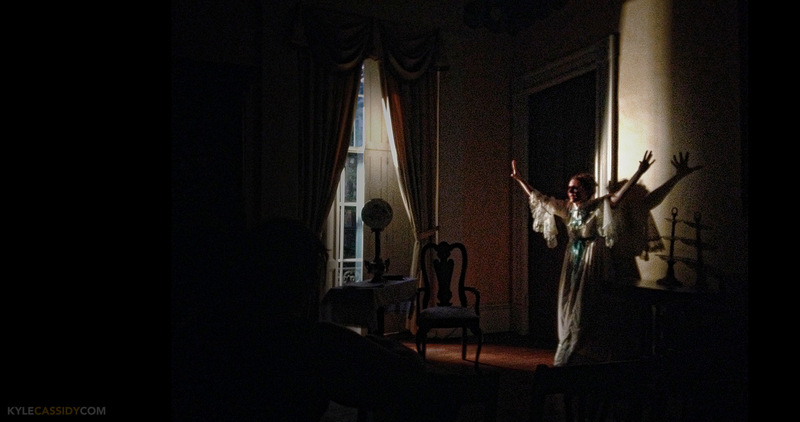 But this evening I was off to do production photos for The Yellow Wallpaper and when I arrived I pulled my camera out of the bag and found this. Something is wrong here. You may clickenzee to embiggen! What the heck? Somehow, bouncing around in my camera bag, the way that cameras do, the entire shutter release assembly had come undone. I fished around in the bag, found it and screwed it back in. Nothing happened though when I tried to take a photo. Well, not nothing, the buffer LED light flashed five times & then stayed steady for about 3 seconds. I turned the camera off, turned it back on. Nothing. I pulled the battery out and the card out, nothing. The screen wouldn't come on, I couldn't get a menu. So, I did what anybody else would do and shot the photos with my phone. And, in a 1970's horror movie sort of way, they didn't come out half bad. Googling around I found that other people had had similar situations where the camera was put in the bag turned on (which is how I put mine in the bag all the time) and it took a bunch of photos, filled up the buffer and locked up the BATTERY rather than the camera. Apparently the battery has some sort of software or hardware switch built into it and it can get flustered and the only thing that will reset it is placing it back in the charger momentarily. After the shoot I took the camera back home, plugged the battery into the charger for about five minutes and put it back in the camera. It came on, showing a 55% battery charge and no blank frames. Still no idea what happened, but resetting the battery by placing it in the charger for a few minutes worked. Which is annoying. So, my pro-tip is never take just one Leica to a shoot that's important. It would be nice if the M9 and the M took the same battery, but if, like me, you have one of each, you have to take batteries and chargers for each anytime you travel. But, Yellow Wallpaper, it's scary. Go see it. July 10-15th in Philadelphia. What made you switch to the Leica in the first place? It's a good question. It happened in 1999. My photography career was going swimmingly, I was getting gallery shows left and right and that summer I had an opportunity to work as Mary Ellen Mark's assistant and I thought "I'm going to get a Leica because I'm a fancy photographer and that's what fancy photographers have". So I got an M6 and someone loaned me two lenses and I loved it and that was my main camera until digital happened. And when digitial happened I cried a lot that there was no digital Leica. And when the M9 came out I was like "omg! there's a digital Leica!" so I bought one. In truth, there's really no reason other than affectation to be using one. As is evidenced here ... they're finicky, prone to breaking down, and don't do a lot of the things that a much cheaper Micro 4:3 camera will do. But I love my digital Leica because when I'm working with one, it doesn't feel like work. 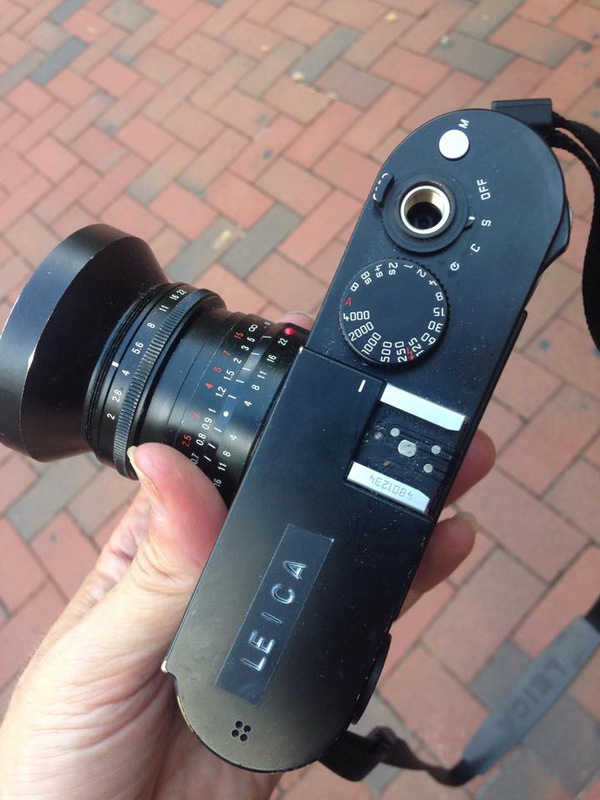 This isn't a great ad for digital Leica, although it is a pretty lil thing to have in your hand. Do you think your pictures are better with it than your Nikon kit?